I am very confused here. So if I can get some help? 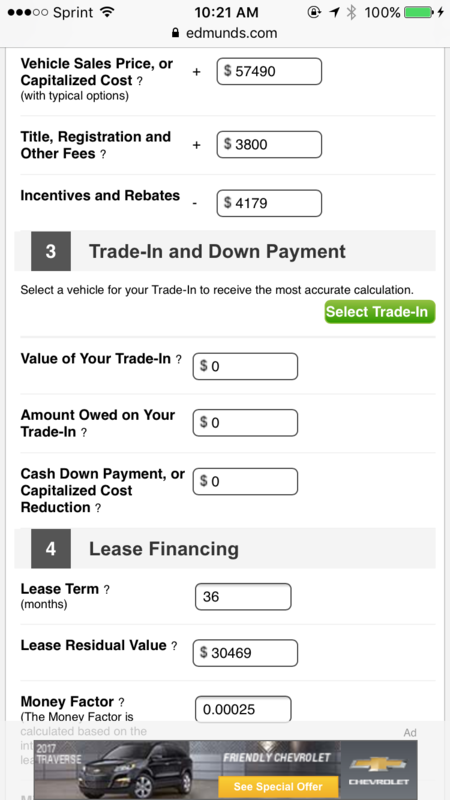 The following are the numbers given to me by the dealership, for some reason when I put them into a lease calculator I do not come up with the same numbers the dealer does. I have used multiple calculators. some are within just a dollar or two, others as much as 50 dollars off. With docs and varies other fees to include tax total cash price is 57107. 39 / 12K Lease is 709.05 per month including taxes. the CA tax rate is 9.75.
does this seem like accurate numbers, and is it a fair deal? You can't use the cash price to calculate a lease. Taxes in CA are paid on the lease payment, not collected upfront. You need the adjusted CAP cost. VIN H1004640. Stk VOH0169. 4DR, 4-cylinder, 8-speed Automatic,mileage: 37 mi., air conditioning, power steering/ABS brakes/windows/locks/mirrors, cd/MP3, vision/climate/convenience package. MSRP: $59,205. $499 due at inception. $0 down + 1st mo pymt $499+ bank fee incl. + $0 sec dep. $19,461 ttl pymts/$30,194 residual. Prices include all costs to be paid by a consumer except for licensing, registration, taxes, and $299 doc. fee. Tier 1 credit approval thru primary lender. Lessee resp. for excess wear/tear. 10K mi. per yr/.25¢ per mi. over thereafter. See dealer for complete details. Not resp. for typos. Offers expire 2/28/17. The difference between 10K per year and 15K is 3% of MSRP, or $1776. I don't see a lease term mentioned. On the surface, $499/mo + tax (9% in PA) is a decent payment on a $59K car. $494 a mo/ $1910 drive off. With your prices, I get $505/mo with tax. What does the $1910 cover? .00010 and 53% With your prices, I get $505/mo with tax. What does the $1910 cover? Acquisition fee, first month payment, registration, and the other little fees. CA state. 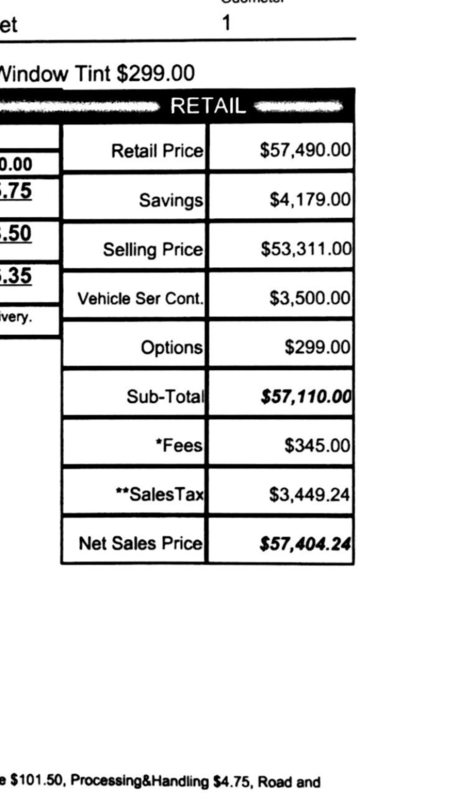 Seems pretty reasonable for a $51,000 car. And a decent discount. I agree with the discount. I would suggest rolling the acquisition fee into the payment. Other than that, if you're comfortable with the discount from sticker, not much to complain about. Might I ask the MF and residual for a T6 Inscription at 36 months, 10k miles per year? Thanks! Without the cap reduction, I get $693/mo with tax included; $605/mo with the cap reduction. We don't recommend the cap reduction - that money would be lost if the car is stolen and totaled, and it masks the true cost of the lease. I can't explain why the dealer quote is less than my calculations. Thank you, I guess I will see how it ends up. Appreciate your candor and help. Can you please let me know your thought..
seems quite high based on some of the other deals people have been getting on this board..
Texas assesses sales tax against the entire selling price, which will make your lease payment very high by comparison. Ask the dealer what the adjusted cap cost, and how they got to that number from the selling price. Is this the Momentum or Inscription trim? I don't see the acquisition fee mentioned anywhere. Good call. I also don't see it. I was able to attach the complete quote while cropping out my address.. other than the possible acquisition fee, does this look reasonable? Are there any other questions I should be asking? For 36/10, the lease numbers are .00025 and 53%. With your prices, I get $770/mo with $0 down. Politely tell the dealer you won't sign anything where the MF is marked up; they know what the base rate is. Thank you! May I ask how you got to that number? 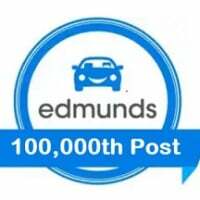 I typed in those numbers into the Edmunds lease calculator and got $810 a month. Perhaps I entered it incorrectly? I have a home-grown spreadsheet calculator; on-line calcs sometimes make assumptions we know nothing about. Very helpful calculator! I used the numbers and plugged it into your spreadsheet and came up with $717 a month (with a 6.5% sales tax)... not sure where I made the mistake, but a bit off from your $770 figure.. learning so much from this, thank you! I can't speak for what @michaell included in his calculations, but I agree with your math. As noted above, the acquisition fee isn't accounted for, and the dealership hasn't disclosed the money factor they are using, either. Is the difference because in Texas taxes are paid on entire price and not monthly payment? Ahh.... yes. Texas taxes the full selling price. Calculate that amount and add it to the CAP cost. Then leave out any other tax calculation. Good call! I now get exactly $770.. thanks guys! 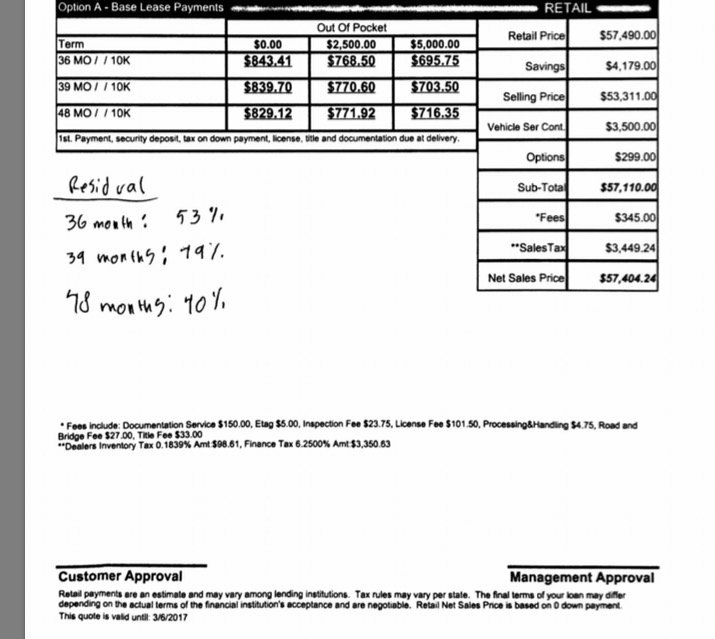 As I wrote this, another local dealership emailed me offering 699 a month with 699 down (for the exact same vehicle), but claimed they couldn't release their MF or Residual.. I always thought that those numbers would be consistent with all dealerships, but I guess not.. thanks again! Residuals will be consistent. Dealers can mark up the money factor for extra profit.